The David Hunt Cabana double wall light in cream and gold finish is a contemporary take on traditional style and handmade in Britain. 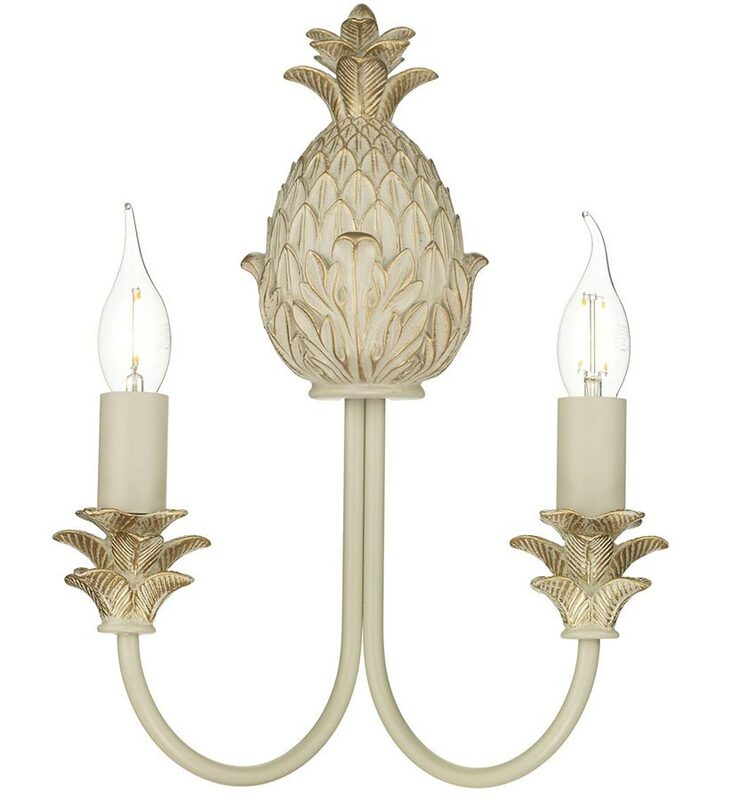 Featuring a pineapple wall mount and two curving arms, with candle style lights and ornate leaf sconces. The Cabana collection is hand crafted from steel and resin, with a hand applied finish to achieve its flawless look. A traditional design with a modern twist that’s inspired by tropical curiosity. 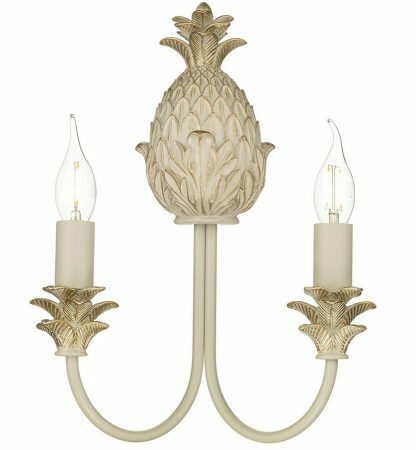 This exceptional wall light is made in the Cotswolds and perfect lighting for any elegant bedroom, living room, dining room or hallway wall. This wall light will accept shades fitted with an ES – E14 carrier or clip-on fitting for candle lamps. The shades maximum wattage must be complied. Class 2 double insulated, no earth required and suitable for older properties without an earth loop. Please note: This wall light is crafted and finished to order, with an extended delivery time of 7 – 10 working days. There are matching coordinated fittings available in the Cabana lighting range, please scroll down to view. This elegant light is designed and made in Britain by David Hunt Lighting who are well known for the design and manufacture of original hand crafted products such as the Cabana double wall light in cream and gold finish you see here.